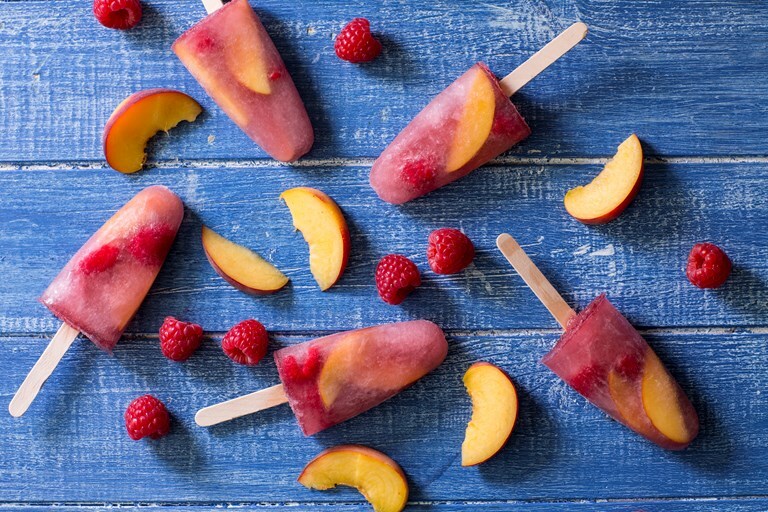 The perfect summer treat, Sally's Chambord and lemonade ice lollies make deliciously easy frozen cocktails. A boozy twist on a peach Melba, fresh raspberries and peaches are frozen within a raspberry liqueur and lemonade ice lolly. When completely frozen, gently warm the moulds to loosen and release the lollies (either rub gently between your hands or run under warm water). Enjoy!